How to Brine a Turkey + VIDEO | The Best Turkey Brine Recipe! 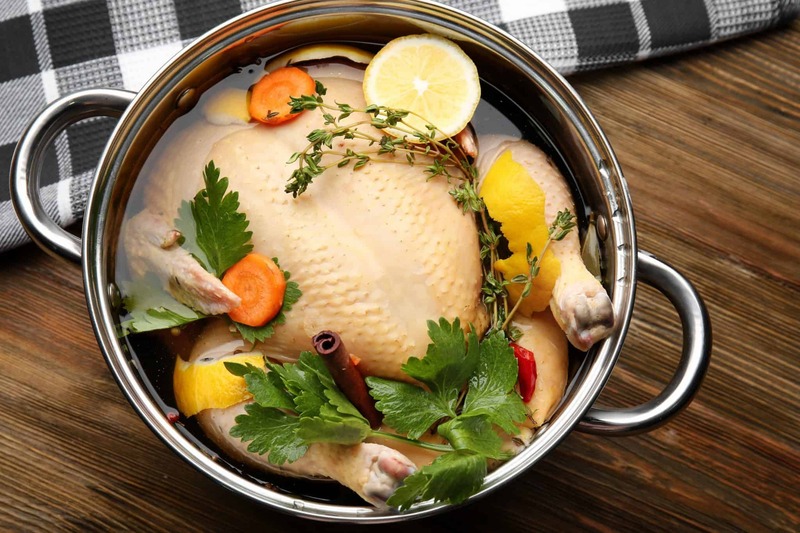 Simple brine for turkey can be as easy as dissolving salt in water or as complicated as a two-day process of an herb infused brine and then allowing for an air dry for the perfect, crispy turkey skin. This article will give you the basic tools on how to brine a turkey, the best turkey brine recipe ever and tips for brining a turkey regardless of what turkey brine recipe you use. Don’t buy an overpriced turkey brining kit when you have all the tools at home! This step-by-step guide will show you how to brine a turkey, tips for a juicy turkey, how to brown turkey skin, also the best turkey brine recipe! Is it just me, or did brining a turkey not become a “thing” until a few years ago? As far as I can remember, turkey rubs were fairly basic, you may or may not stuff the cavity and then in went the bird to soak up all its own juices. Nothing fancy. Then came the famous Cajun injection to really get those flavors down in the skin using surgical precision. Not gonna lie, I still inject my bird on occasion when I am running short on time and can’t brine, but make my own turkey injection recipe. to provide more space in the kitchen oven on turkey day. This giant contraption was only lugged out once a year and made its home on top of the washer in the basement. “This was the best turkey brine I’ve ever used. Everyone raved about how juicy and flavorful my bird was!” -Michael B.
Oh, family holiday memories. Smells came wafting up the stairs. Things have changed and so have turkey fads. Now days you are expected to spice, rub, inject and brine before you slow roast, spatchcock or fry your turkey. I am no exception to the rule and have fallen victim to experimenting with the next great thing. Mainly for one reason: I don’t really care for turkey. *GASP* I know, I know. However, I am adventurous and determined to find a turkey preparation that I DO enjoy. “If you like flavor, use this recipe!” – Debra F.
“One of my reasons for not like the gobble gobble is that it all too frequently ends up dry. Solution: brining your turkey. I set out to find a the best brine recipe ever for the juiciest turkey. Do you know how challenging it is to find whole turkey at the grocery store at any time during the year except Thanksgiving? Surprisingly hard! 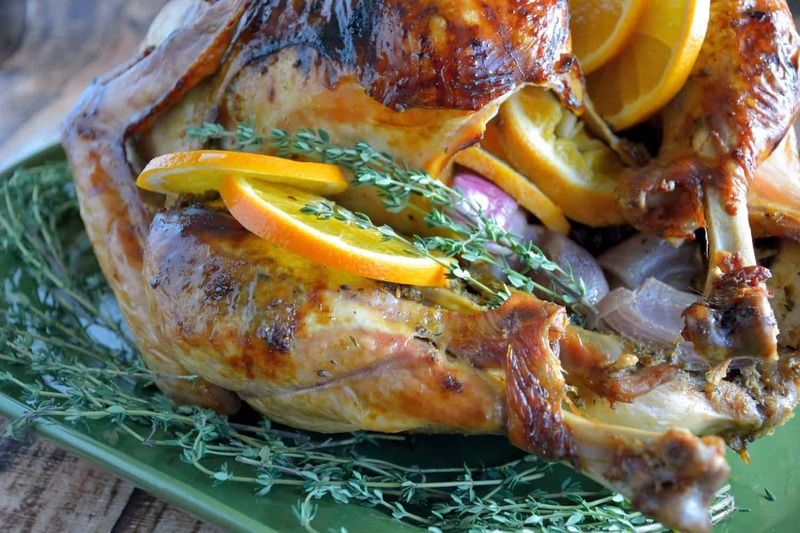 “I was scared to brine a turkey, but this recipe and all of the tips helped me tremendously. Best turkey brine recipe ever! Better than Alton Brown’s turkey brine!” -Michelle A. Here it is, I am teaching YOU how to brine a turkey with these easy brining tips and tricks. Make sure to scroll down to get the full recipe. 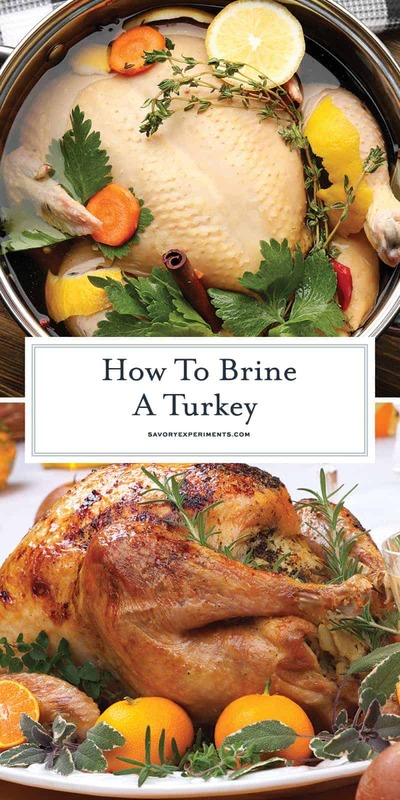 You can use this simple brine recipe for turkey, chicken or pork and can be used before any other full recipe to add moisture. This is a smoked turkey brine, roasted turkey brine or even fried turkey brine recipe. Use it by itself or in addition to any other turkey recipe or turkey rub you wish! Wet Brine– This technique is called wet brining. If you’ve ever wondered how to keep a turkey from drying out, wet brining is the answer and will result in the juiciest turkey ever! Wet brining adds moisture to your turkey- nearly an entire pound of it for a 12 pound bird. The only downfall to wet brining a is not getting crispy turkey skin. But don’t worry, I have a solution so you can have a juicy turkey and browned, crispy turkey skin. Use Kosher Salt- Not all salt is created equal. Salts have different flavor profiles, chemical structures, shapes, ability to dissolve (although they all will eventually) and sizes, resulting in varying density. On tablespoon of Kosher salt is not the same as one tablespoon of table salt. Make sure to use Kosher salt with larger crystals to get the correct salt to water ratio for brine, which is 1 heaping tablespoon of kosher salt for every cup of water. Add flavor- The types of flavor you can add to your brine are endless. For a simple brine recipe using just salt and water, there is no need to boil because the salt will dissolve regardless, but for more flavor, boiling is ideal to infuse water. How Make the Crispiest Turkey Skin– Because brining adds to much moisture and flavor, it also makes the skin super wet and prevents browned, crispy skin. To get the best of both worlds, brine your turkey for 24 hours, then remove from brine and allow to dry out, uncovered, in the refrigerator for an additional 24 hours. Then rub with compound butter. Do not baste during the cooking process. 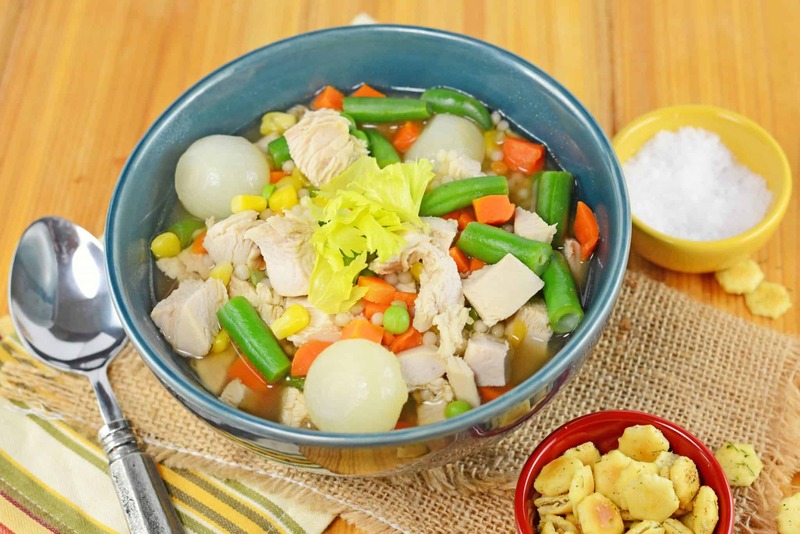 How to make turkey stock– And after you are all finished, save the bones to make Turkey Stock and Turkey Noodle Soup, the quickest and tastiest way to use up leftovers! – These are helpful to save space or if you have a huge turkey! – A large stock pot is a kitchen essential not only for making stock, but also for brining and make large batches of sauces and steaming thing like whole lobster or crab. – A large roasting pan is perfect for roasting turkey, but also chicken and one pot meals for large parties. – Sometimes brining or marinating doesn’t really get flavor to all the meat (although a full brine should), have an injector on hand just in case! – Keep those birds and roasts held tight with cooking twine. This ensures even cooking! “So easy. I wish I had discovered this turkey brine years ago.” -Nick D.
Curious how to brine a turkey for smoking? The same way to brine a turkey for roasting! Use this same recipe and then follow your smoked turkey recipe. Curious how to brine a turkey for frying? The same way you brine one for smoking or roasting! Just make sure you pat the excess liquid off really well. Wet skin causes problems in a fryer. The flavor and juiciness is locked deep within. How to brine turkey parts or how to brine turkey breast? I bet you will guess this answer! The same way you brine a whole turkey! If you are only using a small amount, you can cut the recipe in half. What is a basic roasting recipe? Rub your turkey with a compound butter or dry rub, stuff it with desired herbs and vegetables. Preheat oven to 325 degrees and follow the times below depending on whether it is stuffed and size. Check with a thermometer to make sure it reaches an internal temperture of 175 degrees. Then remove and allow to rest for at least 20 minutes before carving. Do you cook a turkey breast up or down? This is debatable! If you want super crispy turkey skin, roast with the breast up so the skin has time to dry out. I would suggest injecting the breast with liquid to prevent the meat from drying out too. If the breasts start to brown too quickly, loosely tent with aluminum foil. But if you are going for super moist and aren’t too picky about browned skin, cook breast side down, allowing gravity to flow the juices downward. You can also fill the bottom of the pan with water, wine or chicken stock and baste the turkey with it’s own drippings through the cooking process. Can you brine for turkey breast? You can brine any meat! In fact, use this same brine recipe for turkey breast, chicken and even pork. Cut the recipe into a quarter and there you go! 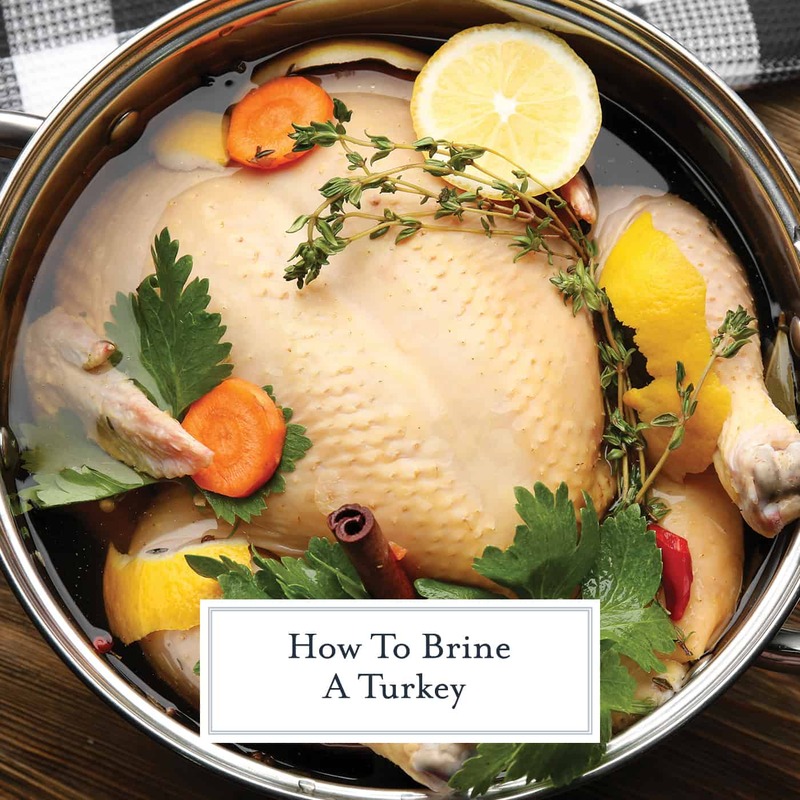 How much turkey brine do I need? You need about 1 gallon for every 10 pounds of turkey. This turkey brine is for a 12 pound bird. You can use the drop down box at the top to change the amount and all of the ingredient amounts will update. Where do I brine my turkey? You can most likely have some something to brine a turkey in at home. There are three main ways people use: a brining bags, a stock pot or a cooler. or at the store, although they tend to sell out fast. Place your turkey in a bag and then another roasting dish in case anything leaks. If you can’t find turkey brining bags, you can use a garbage bag in a pinch. You can also use a large stock pot, if your turkey fits and the stock pot fits into your fridge. 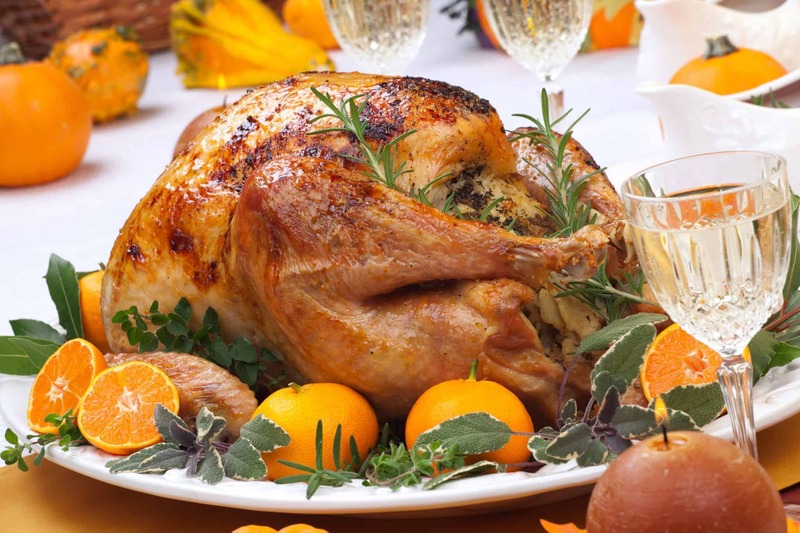 Remember, the turkey needs to stay chilled for the duration of brining, so plan some space in the fridge! Some people wonder it gives it a metallic taste, but I do not think so. Some people also use a cooler. You can do this, but you will need A LOT more liquid and to stay on top of keeping it chilled. If it is cold enough where you live, you might able to just put it outside. But if not, you will need to add lots of ice and add more salt and herbs because every time you add ice, you are diluting the brine. Obviously, make sure the cooler is very, very clean and disinfected. Why add sugar to the brine? 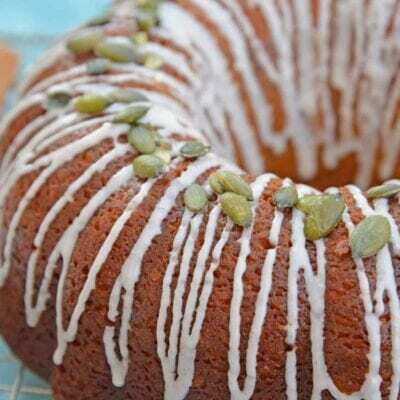 Sugar improves flavors and also aids in the beautiful browning of the skin. Can you brine a turkey too long? It is relatively hard to hurt the turkey, but yes, you can brine for too long. The result will be a tougher and salty bird. I recommend only 24-36 hours for a large turkey. Can you reuse turkey brine? NO! This is raw meat and a marinade just like others. The brine can be easily contaminated and contaminate your food. Discard turkey brine after one use. Can you brine a turkey when it is frozen? You want your turkey to be as thawed as possible. If it is frozen, the brine doesn’t have a way to penetrate into the turkey. It is a little frozen, it is ok, but remember the ice left inside that still needs to thaw will dilute the brine, so compensate by adding a little more salt. Do you have recipe for roast turkey? Here are my favorite holiday recipes to serve with turkey! 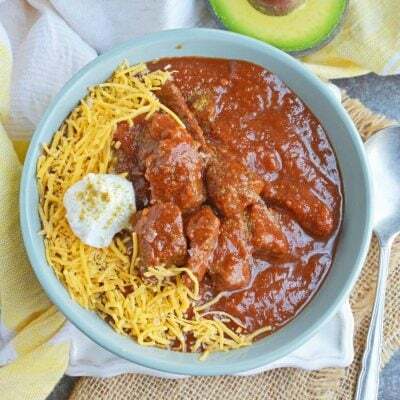 Make sure to check out our fabulous collection of LEFTOVER TURKEY RECIPES before you leave! Remove plastic wrap, gizzard and neck. Rinse well with cold water. Place into brining bag placed, large baking dish or large stock pot. Make sure you have enough space to place whatever you use into the refrigerator. Bring 16 cups of water to a rapid boil in a large stock pot. Whisk in paprika, chile powder, garlic powder, onion, oregano, thyme, garlic cloves, brown sugar, bay leaves and kosher salt. Also add any additional optional add-ins. Continue to boil for 15-20 minutes. Remove from heat, allow to cool slightly (approximately 10-15 minutes) then add 4 cups of ice. Remove from brine and rinse with cold water. Pat dry and then prepare your turkey according to desired recipe. 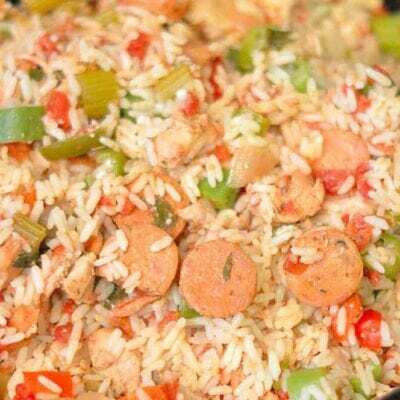 If you've tried this recipe, come back and give it a rating and tell us how it was! If the brine will not completely embrace the turkey you can rig it with other items. I used a small cup, shot glass and cheese grater to make sure the brine fully encompassed the turkey. We hope you have a fabulous Thanksgiving and know you might still have questions. Feel free to email me at jessica@savoryexperiments.com, but remember, I am hosting my own Thanksgiving feast, so I might not respond immediately. I will get back to you though! “Bird is the word.” – Jessica F.
Here are the tools you need to brine a turkey! 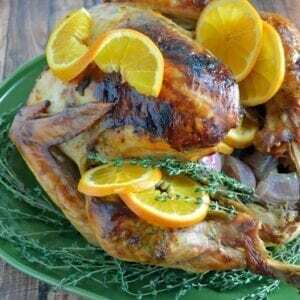 Thanksgiving 2018…This is the best recipe to brine or season or add an awesome flavor to your turkey. The first time my family could not stop talking about “THE TURKEY” . PEOPLE U MUST TRY THIS. Lots of Ingredients but well worth it.. THANKS this is the one! Thank YOU for coming back to let us know. Comments like this make us smile and keep us making fabulous recipes! Happy holidays! I’d like to ask a question, if I may? I’d l8keto know if the Reynolds Turkry cooking bags are the same thing as brining bags? It just seems to me that they should be. I have used a cooking bag every year for my a Turkey and it has been just delicious every time. Juicy, very well cooked, brown. It’s so easy, I can’t imagine any other way! But please I would like to know if they are the same. Hi Carol- excellent question! Although I have never compared the two, I would think they would be very similar. Although brining bags aren’t oven safe and would most likely melt if put in the oven. Using a turkey cooking bag is also an excellent choice for a succulent bird! I think some people feel they might sacrifice crispy skin with a bag since it essentially steams the turkey. In a pinch, you could totally brine with a cooking bag, but I wouldn’t recommend cooking in a brining bag. Thanks for coming by to let us know, Jackie!!! I used this recipe when hosting my first Thanksgiving last year. 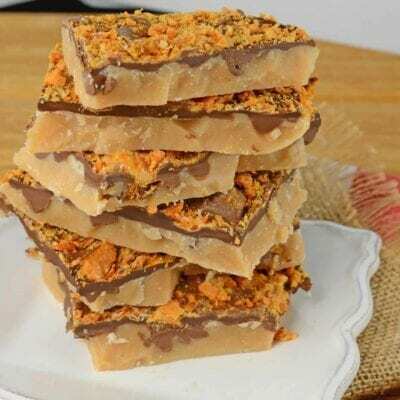 It has so many tip and tricks and the recipe is perfect. The turkey came out so well I’m on hosting duty again this year. Excellent recipe!! Noelle, Thank you for stopping by to let us know! Comments like these are what fuels us to keep making more. Have a happy Thanksgiving! Hi Tabetha! You certianly can. While it is ideal for the turkey to be 100% defrosted, it isn’t going to harm it to put it in while still a little frozen. It will just add a little water to the brine, so maybe add a tiny bit more salt to compensate. Happy Thanksgiving! I’m giving this a try this year. I will let you know how it turns out! Hello, Do you cook in a cooking bag? 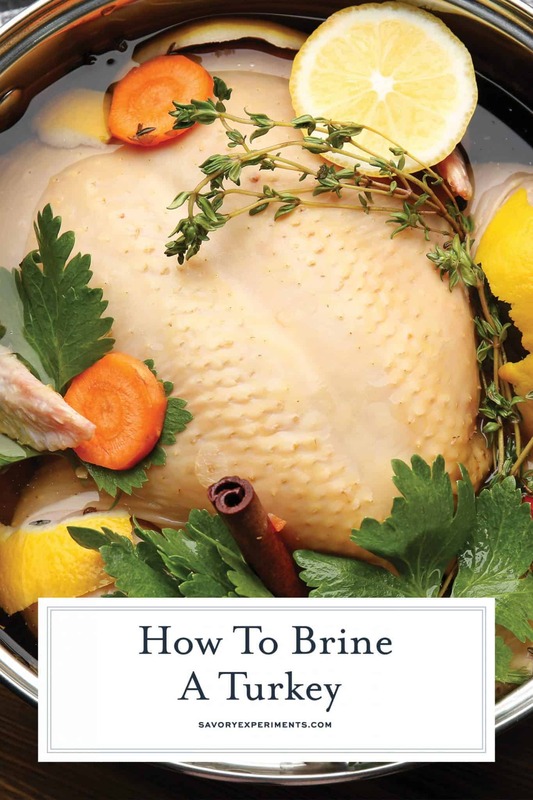 Do you mean how to brine in a brining bag or how do you cook in a cooking bag? If you use a brining bag you just put the turkey and the cooled brine in the bag and it is just the vessel to hold it all. If you are cooking in an oven bag, it really depends on the recipe and size of your turkey and I can’t give you exact instructions unless I know those factors. I April. I would recommend your turkey being nearly thawed or thawed. The whole concept of brining is that the liquid absorbed into the turkey and it is frozen, it can’t do that. The national agriculture associate reports that you can keep your turkey in the fridge for up to 2 days after it being fully thawed and before cooking. I am confused by various recipes, should the bird be washed after leaving the brine before roasting? I brined a chicken with lemon, tangerine, bay leaves, garlic, salt, sugar and water and following the recipe I did not rinse the chicken, it was so tender and juicy but salty. So should the brine always be washed off? Hi Karen, There are so many ways to brine! I always rinse the items I’m brining to get the salt residue off. The meat should have absorbed enough flavor and salt to be flavorful and moist. I have been brining Turkeys for years, a recipe given to me by a chef in Chicago, and have never done it any other way, why would you, if it’s Good leave it alone! Just remember, after Brining, you Must rinse off as much of That saltybrine as possible, I place under the faucet and wash in and out throughly, pat dry, if you don’t, you can expect to have a Salty Bird. I like to dry out a day as well, to get that skin has crispy as possible ! If you do this correctly you will never need or want to try anything else, because it will be as juscy and tasty as any Bird you will ever try, ALL THE BEST ! Thank you, Chef Jose! Cheers! The only adjustment I made to the recipe was adding a half gallon of apple cider. I made a 13 lb turkey for my thanksgiving dinner at work using this recipe and it was a huge hit! It will be my forever recipe! Hopefully one day I’ll have it memorized. Hi, did you use apple cider vinegar or just apple cider juice? Thanks! Omg! This was the best turkey I have ever had! This will be a life time favorite! Typically, I only like dark meat, but with this recipe, the breast soaked up all the flavor and is the best part! Hi there! You said that you brine for 24 hours, pat dry and in refrigerator for another 24 hours before cooking? In the recipe it says brine for 24 hours then cook after? Would it be ok to brine for the 24 hours then cook immediately after? Hi Chris, yes, you can cook right after the 24 hour brining- it is just an option for crispier skin. Happy turkey day! What if I don’t have sprigs of Rosemary or thyme I already have them peeled how much of that do it put ?? I have been brineing for over ten years, it is the only way to do a turkey. I found the concept on the Food TV channel. They suggested 1 cup of salt and one cup of sugar to a large pot of water, put on the stove, heat a stir until salt and sugar have disolved. I then added some ice to cool it down and them put the mixture in a 5 gallon bucket you can get from Home Depot. I rinsed the turkey, removed the giblets, and put the turkey in the bucket and added more cold water to cover and then covered it with ice to keep it cold for about 24 hours. I live in a northern state so could leave it in the garage and it was kept cold. I will try the Kosher salt this year. I use a roaster with a rack to keep the turkey out of it’s juices when it cooks. I remove the turkey from the brine, dry the out side with paper towel, rub olive oil on the exterior skin and put on the rack with the breast side UP. I also tie the legs and wings to the side of the bird. I put the turkey in a 500 degree oven for the first 30 minutes and then turn down the oven temperature to 325 and leave in the oven for the balance of the time necessary for the size of turkey. You DO NOT need to baste, DO NOT turn over the turkey, DO NOT stuff the turkey, Do the dressing separately. The reason for the first 30 minutes at 500 degrees is to brown the skin and then it will hod the moisture in the bird for the most juicy white meat you have ever had and of course more favor, because the salt has soaked into the meat during the brine. FYI: Most of the salt will gown the drain when you take the turkey out of the brine. The first 30 minutes at 500 degrees makes a world of difference. Remove the turkey from the oven, and let rest for at least 30 minutes before carving. In the mean time I take the juices and fat from cooking, separate the turkey fat from the juice, put the fat back in the bottom of the roadster with an equal amount of flour and cook the roux for a couple of minutes and then whisk in the juices and more water if necessary to make the gravy. I also pre cook the giblets, cut them up into small pieces and add them to the gravy. Season if necessary. Many years ago I stopped carving a turkey at the table. I now do in in the kitchen. I use a boneing knife to cut the breasts from the bird, the slice the breasts, against the grain, and place it on a serving platter along with the dark meat and wings. If someone wants a leg they can ask for it. The person who usually carves the turkey at the table usually does this once a year and has no idea how to do it. Save the poor man the embarrassment. I have always liked to cook, was an Army trained cook, cooked more meals than most house wives ever will in their life time and have cooked more turkeys than I care to remember. I have tried all the different methods and have found that brine is only and simple way to cook a turkey perfectly, moist and flavorful and looks like on of those turkey in the magazines. , . Sounds delicious! Thanks for sharing your expertise! So this is all you use, salt and sugar? Thanks for your time and the recipe, greatly needed and appreciated. I always gets hard time cooking the turkey. I stay away from it. However, after seeing your recipe I would like to give a one more try this year! To cook the turkey, you need to covered all, all cook uncover, for how long would you covered, if you do? Hi Damatis! You can do this! Turkey isn’t nearly as intimidating as people make it out to be. You can cook it covered or uncovered, that is really dependant on the recipe you pick. I typically leave mine uncovered because I love a good crispy skin! If you scroll all the way down in on this page, there is a basic turkey recipe with a way to figure out how long to cook your bird! Good luck! You sure can! I’ve never smoked my own turkey, but that sounds super tasty with this brine. I have been brineing and smoking my Thanksgiving turkey for years. The best brine that I have found is using kosher salt with a mulling spice mix with water and applejuice or cider. The best wood chips is Applewood. During the last 30 mins for roasting I baste with either pure maple syrup or honey. That sounds delicious! I like the addition of cider! Does the recipe call for regular table salt or are we supposed to use kosher? Thanks! Do I add all the dry ingredients to the boiling water? In the instructions it only say salt and paprika. “Salt through paprika” so yes 🙂 Happy Thanksgiving ! Do you add ALL ingredients… or just paprika and salt while brining? Is the rest of the ingredients for something else? Like preparing turkey AFTER brined? Add all the ingredients to the brine. If you want to rub the turkey with herbs and spices, do it after brining and that is another recipe. No- not overwhelming by any means. It doesn’t taste like chili at all! Just a little smoky, if you will. Oh yes! Especially when you have a large bird- the more time the better! I would say 24 hours is a minimum for a 14 pounders- anything larger, the more time, the better! Yes, as long as brine water remains cold. You may have to add more ice. If it’s in your fridge your good. If I don’t have dried onion can I just mince up a regular onion? Could troubadour next steps? How do you cook the turkey? At what temp? How long? Covered or not? Thanks! Hi Angela, I just added a quick guide and blurb on how to do a basic roast turkey. Let me know if you have any questions! what size turkey is this recipe for? Hi Caroline, I used an 18 lb turkey for this one, but it can accommodate any where from 12-22 pounds. If you find that the liquid doesn’t cover it when you place it in your bag/pot, just add additional cold water. There will be more than enough salt and spices to make it work. when do u add the chili and garlic and other spices? does all that go in the water or is that a dry rub? This is my 3rd year to brine my turkey with your recipe. It’s my “go-to” for Thanksgiving as long as I am in charge of making the turkey! Thank for stopping by to let me know Cynthia- you literally made my day! Have a happy Thanksgiving! Hi Jessica I was just wondering if I could use this same exact recipe if I’m using a bone in Turkey breast and not a whole Turkey. Of course! I would just cut the recipe in half. You can brine nearly anything. Same recipe also works for chicken. where do you get brine bags? Hi Bonnie, the grocery store usually sells them. Or you can use a giant stock pot! Does brining increase the sodium levels of the turkey? Member of family is on low sodium diet. After brining can you cook in a cooking bag? Hi Marilyn! It does raise the sodium, nature of the beast. However, you can still brine and reduce the amount of salt, rinse well to get excess off the skin and then cut the salt in whatever rub you use. You can certianly still cook in a bag! If you don’t want to brine, you can always try injecting using a salt-free mix. And Happy Thanksgiving! Tell Mark we say HI! Do you use a rub even after you brine the turkey? Hi Inga! I do, but you don’t have to. Hello, this is my first time brining a turkey and I am extremely nervous as I am hosting thanksgiving dinner. I have read the turkey can end up being very salty and additional seasoning should not be added once the brining process is over , is this true? I wanted to add a lemon pepper seasoning and butter rub once the brining was over do you think this will be okay? I also read the turkey should not be rinsed after brining so I am really confused and I am not sure if I should rinse it or not. Thank you for your help. Hi Sam. First of all, it will all be okay and you are going to make the BEST Thanksgiving turkey ever! Brining, by definition, is salt. However, salt is the only ingredient that really brings out the flavor in any food. Salt also plumps thing up. Brining can end up salty for people who don’t eat a lot of salt. I DO rinse mine before I season it and I DO use a rub that has salt. BUT you can use a rub and cut out the salt, or a portion of the salt. The good news is that if you cut out salt, you can always add seasoning at the table. You can also use a less saltier salt, like Maldon Sea Salt. I’m heading out for the day, but if you have any last minute “emergency” turkey questions, e-mail me at savoryexperiments@gmail.com . I’ve never heard of a pre-injected turkey! 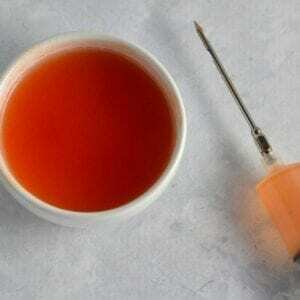 If the injection has presumably been injected for a while, then there is no need to brine. I would still rub it with herbs, etc, but cut the salt in half. You can always add more at the table, but you can’t take it away. When do you add the bay leaves? When you boil the water. I’ll add that to make it more clear, Rosanna. Thanks for stopping by! What was your portion (lbs) for one serving size??? I use 1.5 pounds per person. 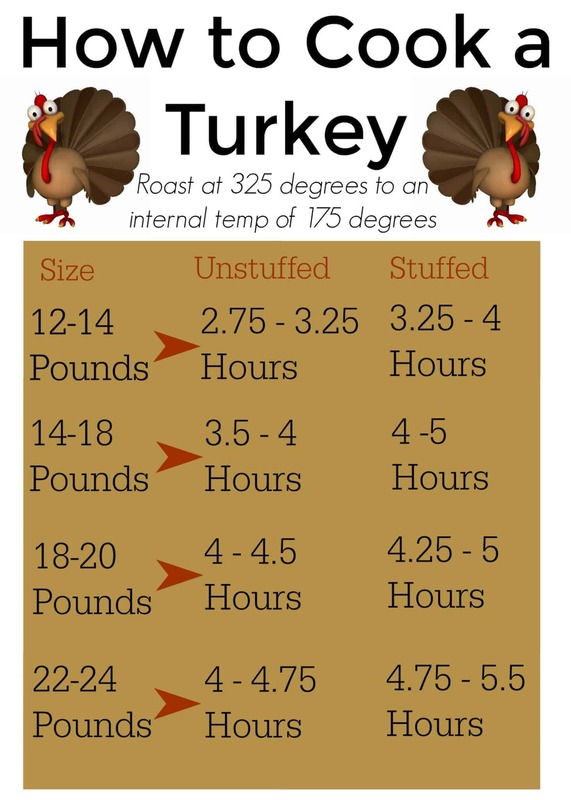 That doesn’t mean you’ll eat 1 1/2 pounds of meat, just estimate that for the size turkey you buy. Remember, it has bones, so you’ll toss most of it. Or make it into delicious stock! How many pounds is the turkey for this recipe? Remove the turkey from the frying pot, discard water? Do you thaw your turkey out in your frying pot? Is this what this means? Hi Patricia! It was a mistake on my part- thank you for catching it! The recipe has been updated and is correct now. Happy turkey day! Happy Thanksgiving, thanks for the recipe. I was wondering do you have to use a bag, or can you just put the turkey in a huge pot? No need to use a bag- use a stock pot! And happy Thanksgiving to you as well, Babette!